I made a mistake in my order, when I phoned, customer service couldn’t have been more helpful. They listened carefully and went above and beyond what I expected to solve my problem. I can’t thank 800Bear enough. You are a top notch business with a caring attitude. Thank you! 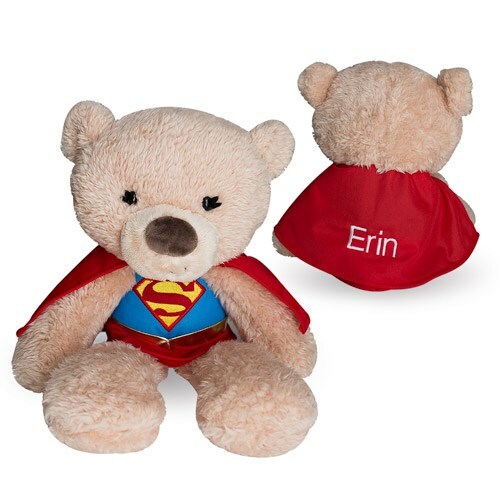 Your little superhero will love to have a sidekick everywhere they go, give them our Embroidered Supergirl Plush Teddy Bear for any occasion. This Superhero Teddy Bear will be embroidered with any name in white thread on the back of the cape.